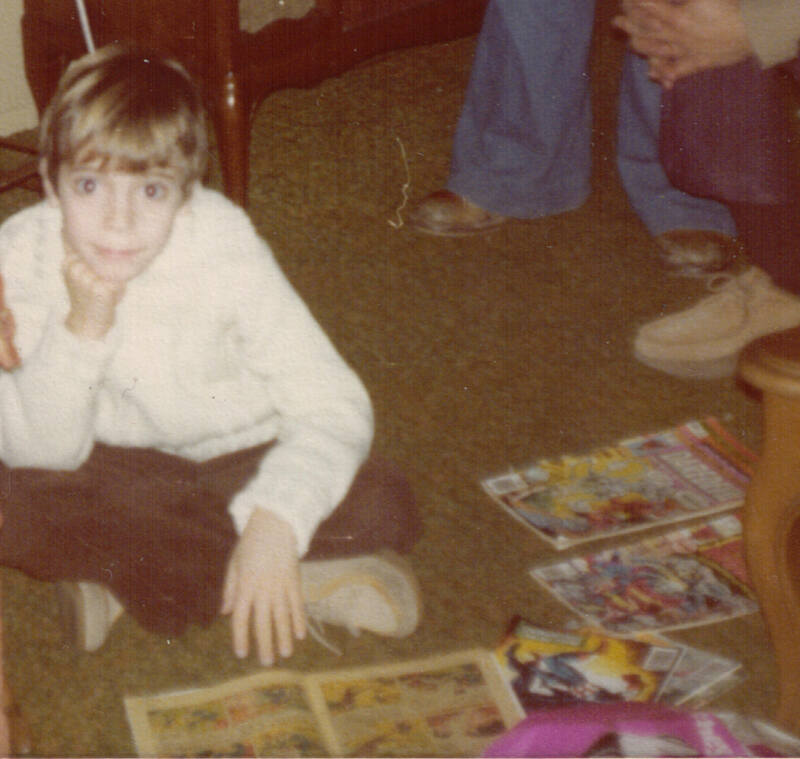 This is me on the living room floor of grandma’s house circa early ’77. The comics (at least the ones we can see) are Daredevil #138, Ghost Rider #21, and Marvel Double Feature #21. The comic that is open in front of me is… well, I don’t know, and quite frankly it’s driving me nuts. My initial guess was that this is an issue of Peter Parker, The Spectacular Spider-Man (or possibly Marvel Team-Up), because one panel appears to contain a Sal Buscema profile of Peter Parker. But I looked through my old, Sal-drawn issues of PPTSSM and Team-Up and couldn’t find it. I guess it’s possible that it’s not Sal; it could be a Winslow Mortimer page from Spidey Super Stories, but I just don’t know. A No-Prize to anyone who can tell me which comic this is. 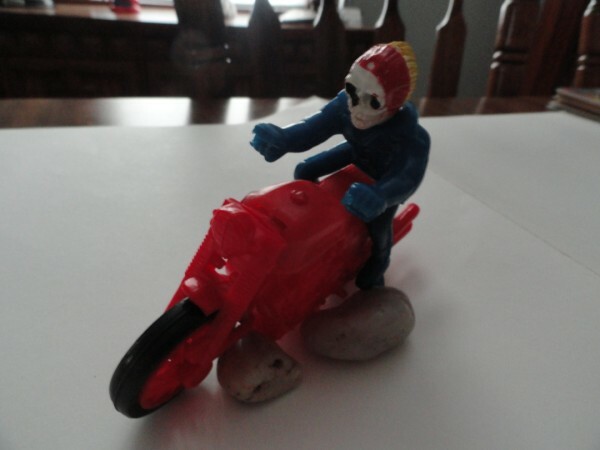 I should also take this opportunity to mention how much I loved Ghost Rider. I’m reminded of this due to the fact that GR makes a guest appearance in the above issue of Daredevil, in addition to his appearance in his own title (naturally) right next to it. So why did I love Ghost Rider? Like most fanboys, the reasons for this love were wholly subjective and fairly arbitrary. 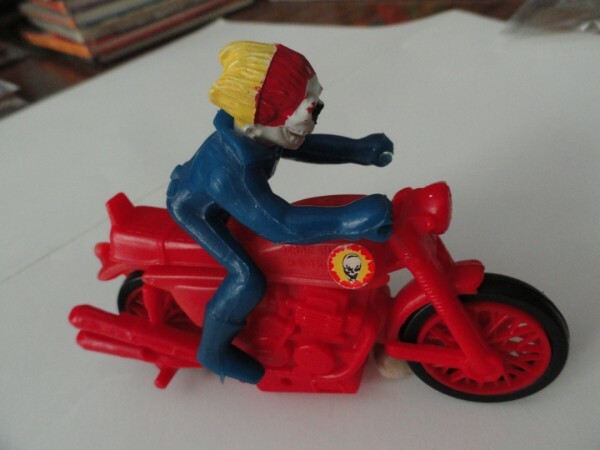 First, I just found something inherently cool about a guy riding a badass chopper with a skeleton head that was on fire. I always loved how Ghost Rider scared the crap out of the villains he faced. I probably wished I could strike that kind of fear/respect into other people myself. And again, like with Hot Stuff the Little Devil, the Satanic trappings of the strip added some forbidden-fruit appeal. 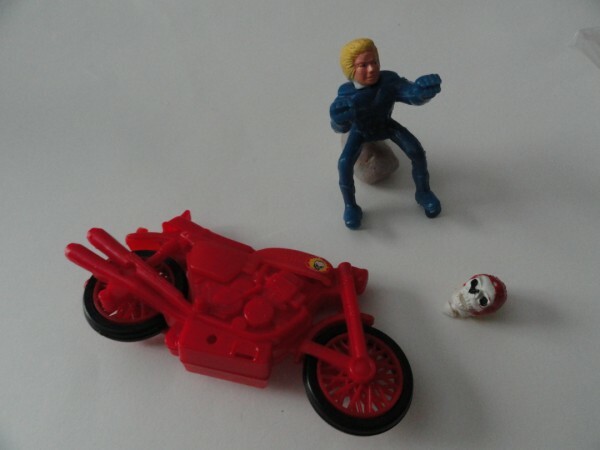 I’m fairly sure this is not the original toy I owned. 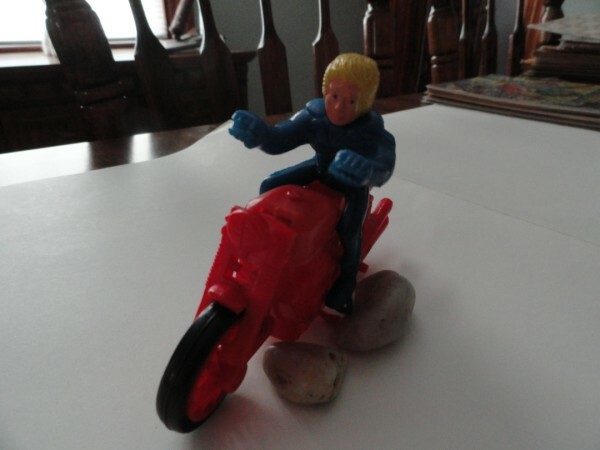 I think the original version had a different color motorcycle. Not sure what happened to it; I either lost it or my dog chewed it up. Then I got this one circa 1980. It’s in okay shape, all things considered, but it is missing the handlebars. But I’m glad it survived at all—it brings back a lot of fond memories. 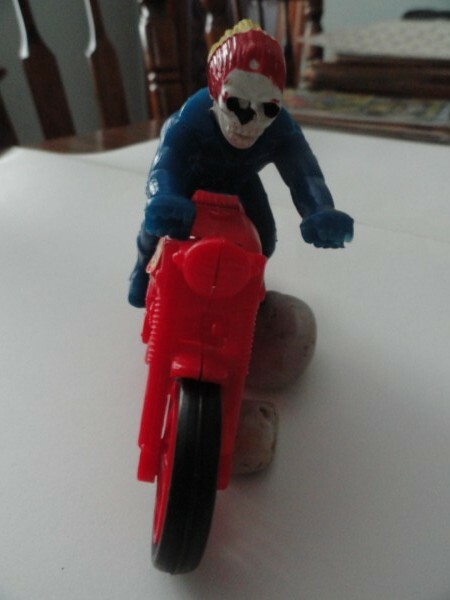 The original Ghost Rider was so cool. That 90s revamp? Not so much.